Add an elegant twist to your room with this timeless Ethereal Area Rug. This collection is power-loomed with a dense fiber that allows the rug to lay in a low, flat-weave fashion. The carved, high-low patterns give it a vintage feel, and the power-loomed construction allows for an upscale look at an affordable price. 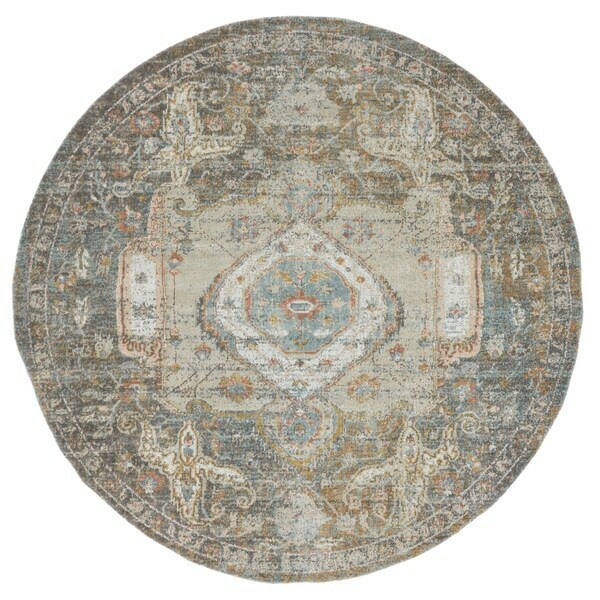 Nourison Persian Arts Ivory Rug - 5'3" x 7'5"